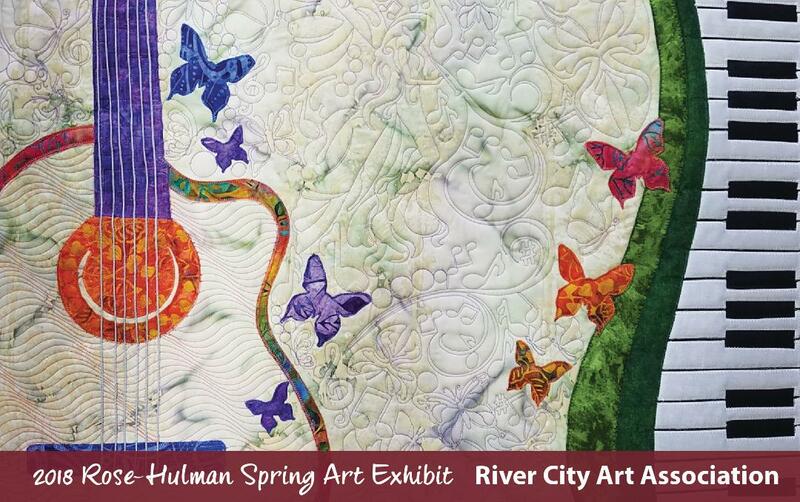 Seventeen artists from River City Art Association are exhibiting their work in the 2018 Rose-Hulman Spring Art Exhibit from January 12th to May 30th. The following artists have work on display: Edith Acton, Richard Acton, Ruthann Brady, Dian Der Ohanian Phillips, Kyma Drake, Rod Funk, Valerie Funk, Neil Garrison, Steve Harrold, Monty Jones, Judith Lynn Smith, Elise Spaid-Roberts, Todd Stokes, Jim Tabor, Sheila K. Ter Meer, Don Turner and Spencer Young. “Please join us for a reception to honor our artists,” Brinkman-Robertson added. Thursday, March 22nd, 4:30 – 6:30 p.m., Moench Hall, 1st and 2nd floors, Rose-Hulman Institute of Technology, 5500 Wabash Ave. in Terre Haute. Refreshments provided. This entry was posted in Art Exhibition, Art Show and tagged 2018 Spring Art Exhibit, Art, artists, River City Art Association, Rose-Hulman Institute of Technology, Terre Haute. Bookmark the permalink.